We welcome anyone to participate in the life of the church, regardless of membership. Our mission is Growing Disciples of Jesus Christ. So we always welcome people to a deeper commitment in their life in Christ. Part of God’s call to us as Christians is to be connected together in the Christian Community—the church. Official membership is a way to make that commitment to the community. In any group, you often get out what you put in. If you stay on the periphery, then you may miss the benefits of being invested in the community. Official membership also helps us to recognize you as a member and include you in correspondence and leadership opportunities. Helps parishioners feel comfortable reaching out to you to include you in ministry. Includes you in some correspondence and leadership opportunities. 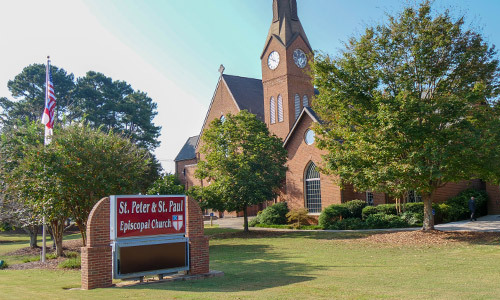 If you are an Episcopalian, your membership is transferred from your previous parish (noted on the form). For more information about Baptism, click here. To download a new member form, click here. Confirmation is also encouraged (and required for certain leadership positions). See below. Well, God always calls us deeper. We hope that you endeavor to pursue a life of prayer, study, generosity and service in the church and in the world. This starts with regular participation in worship and the sacraments, regular participation in a Bible study or class, learning to know others in this community, regular prayer on your own and with others, and taking your place in the ministries of the church. We hope that your stewardship of time, talent and treasure will reflect your love for God not only in the church but at home and work and school and in the world. This is part of how we pursue our mission of Growing Disciples of Jesus Christ. Confirmation in the Episcopal Church is not required for membership, but it is encouraged in due course. Certain leadership positions require it. If you have been confirmed in another Christian church, you may be “Received” into the Episcopal Church. The preparation process is the same as for confirmation. There is no set schedule, but in the past we have held 6-8 classes for adults. 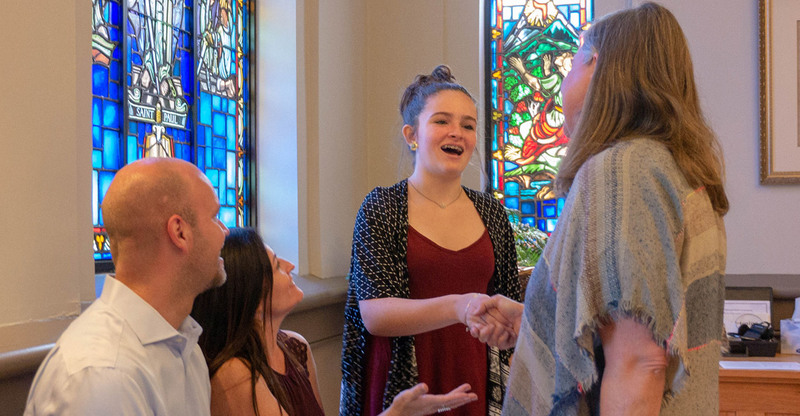 Teenagers prepare for Confirmation in high school Sunday School classes. Click here to read more about Confirmation, or contact the parish office at sbristow@peterandpaul.org. By dropping off at the office.